SCISSOR LIFT 26 FOOT SKYJACK 3226 Rentals Ft. Collins CO, Where to Rent SCISSOR LIFT 26 FOOT SKYJACK 3226 in Ft. Collins, Wellington, Greeley, LaPorte, Loveland, Windsor CO and all of Northern Colorado. Electric scissors lift, must be used on flat paved surfaces. Turning Radius outside 108in. inside 50 in. 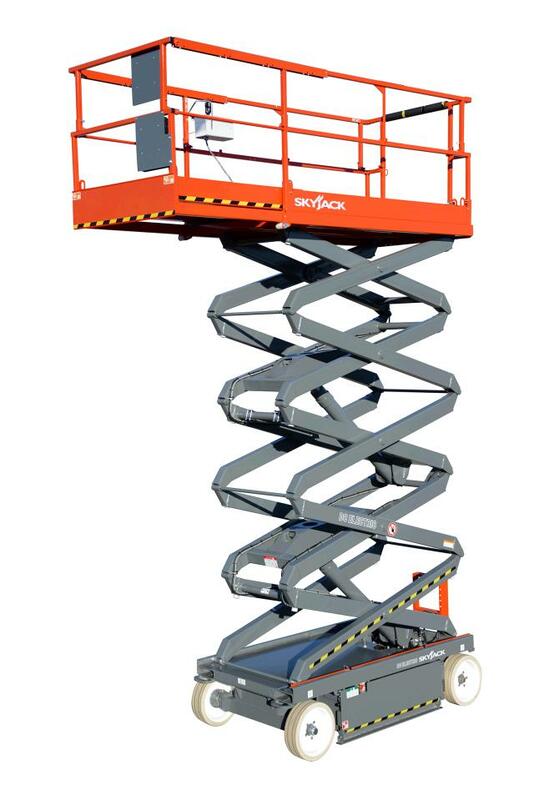 * Please call us for any questions on our scissor lift 26 foot skyjack 3226 rentals in Fort Collins, Wellington, Greeley, LaPorte, Loveland, Windsor CO and all of Northern Colorado.